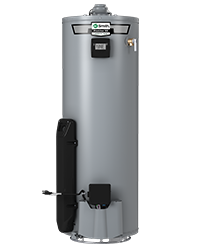 Featuring a 40-gallon (nominal) tank and a 40,000 BTU gas burner, the GCF-40 standard vent delivers a first hour rating of 70 gallons and a recovery rate of 42 gallons per hour. 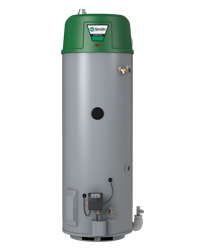 With an 0.64 Uniform Energy Factor, this water heater is ENERGY STAR® qualified. 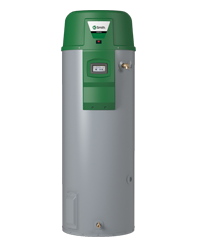 It carries a 6-year limited warranty, and meets Low NOx emission requirements.